In his Washington Post obit of Amos Oz ("Amos Oz, Israel author who wrote of striving and struggle, dies at 79,"12/28/18), Matt Schudel quotes the Israeli author thusly, “At the end of Shakespeare the stage is strewn with dead bodies and maybe there’s a measure of justice hovering high above. A Chekhovian tragedy, on the other hand, ends with everybody disillusioned, embittered, heartbroken, disappointed—indeed, absolutely shattered, but still alive.” It’s a brilliant bit of literary criticism which contains the wistful hope that history would catch up with culture. Great sea shifts occur in human personality and often these come with great pain. But while certain civilizations often have the leisure to deal with intra-psychic trauma, there are still places on earth like Yemen for instance where "soul murder," the phrase coined by the psychoanalyst Leonard Shengold to describe the childhood emotional deprivation which Chekhov, for instance, endured, doesn’t even have time to occur. The heartbreaking photos of starving children are a testament to the fact that the Cambodian killing fields have only spread virally to another venue. 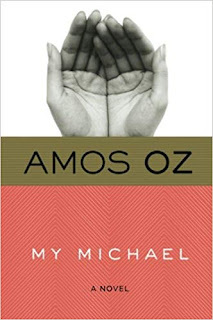 The country in which Oz was born and in whose language he wrote, is a living demonstration of the contrarieties of this individual and social paradigm. Indeed in modern Israel tortured personalities like those of Oz himself find themselves mitigating between the personal and political on a daily basis.